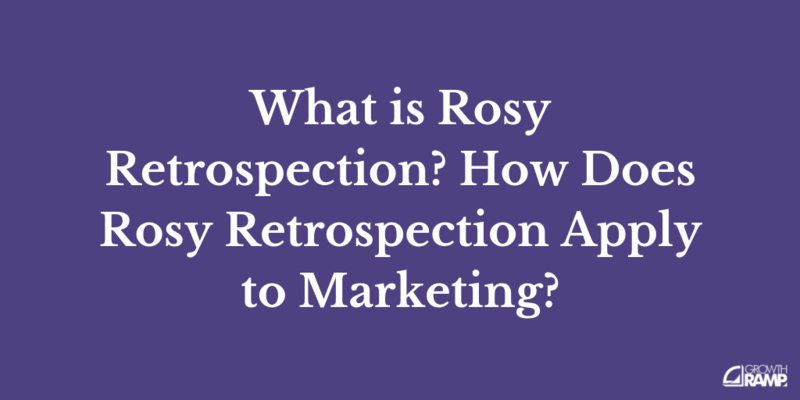 Although rosy retrospection is a cognitive bias, and distorts a person's view of reality to some extent, some people theorize that it may in part serve a useful purpose in increasing self-esteem and a person's overall sense of well-being. For example, Terence Mitchell and Leigh Thompson mention this possibility in a chapter entitled "A Theory of Temporal Adjustments of the Evaluation of Events" in a book of collected research reports from various authors entitled "Advances in Managerial Cognition and Organizational Information Processing". Simplifications and exaggerations of memories (such as occurs in rosy retrospection) may also make it easier for people's brains to store long-term memories, as removing details may reduce the burden of those memories on the brain and make the brain require fewer neural connections to form and engrain memories. Much the same can be said of human memories and the human brain's own process of memorization. The difference between the terms is that rosy retrospection is a cognitive bias, whereas the broader phenomenon of nostalgia is not necessarily based on a biased perspective. In one group of experiments, three groups going on different vacations were interviewed before, during, and after their vacations. Most followed the pattern of initially positive anticipation, followed by mild disappointment thereafter. Generally, most subjects reviewed the events more favorably some time after the events had occurred than they did while experiencing them. "The Meaning of Nostalgia". Psychology Today. Retrieved 2017-04-22. "A Theory of Temporal Adjustments of the Evaluation of Events" (PDF). MIT. Retrieved 2017-04-22. "Rosy Retrospection: A Psychological Phenomenon". Southeastern University. 2016-02-23. Retrieved 2017-04-22. Terence R. Mitchell; Leigh Thompson; Erika Peterson; Randy Cronk (1997). "Temporal Adjustments in the Evaluation of Events: The "Rosy View"". Journal of Experimental Social Psychology. 33 (4): 421–448. doi:10.1006/jesp.1997.1333. PMID 9247371.